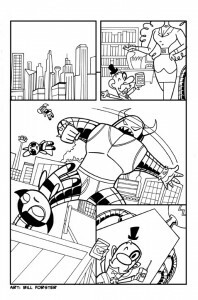 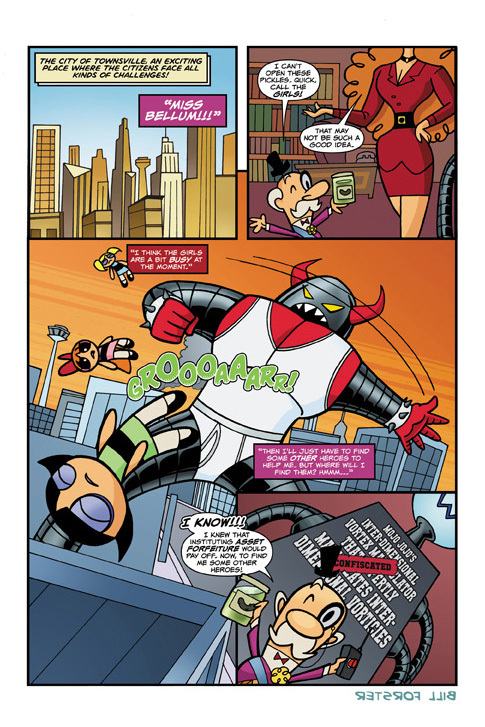 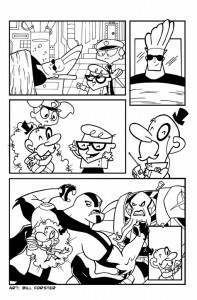 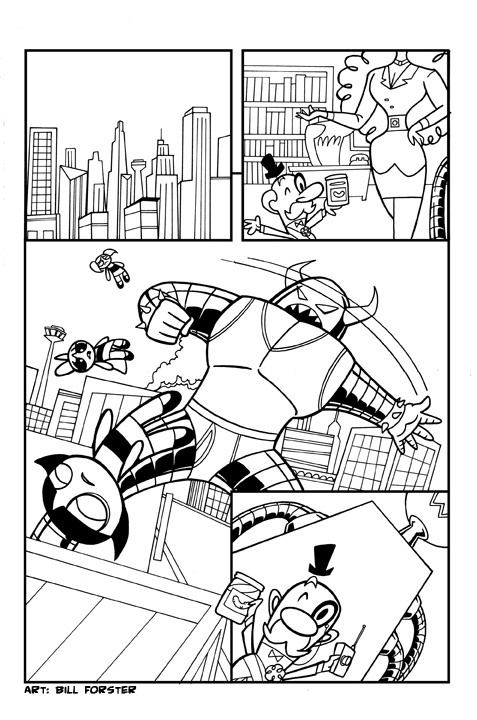 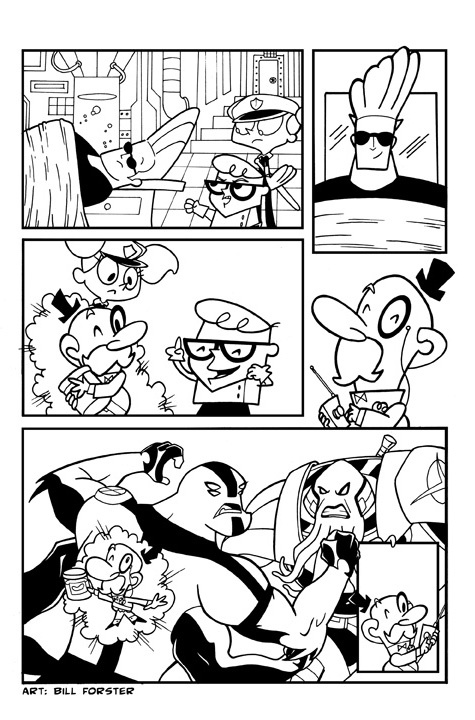 Here’s a 3 page story I made about the Mayor of Townsville from the Powerpuff Girls. 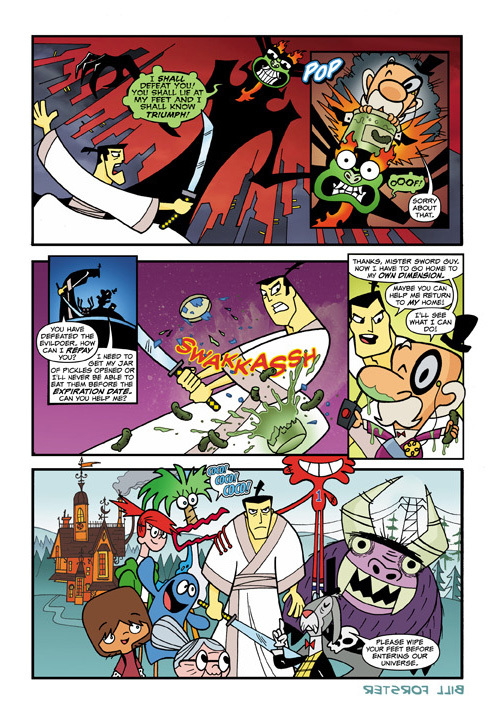 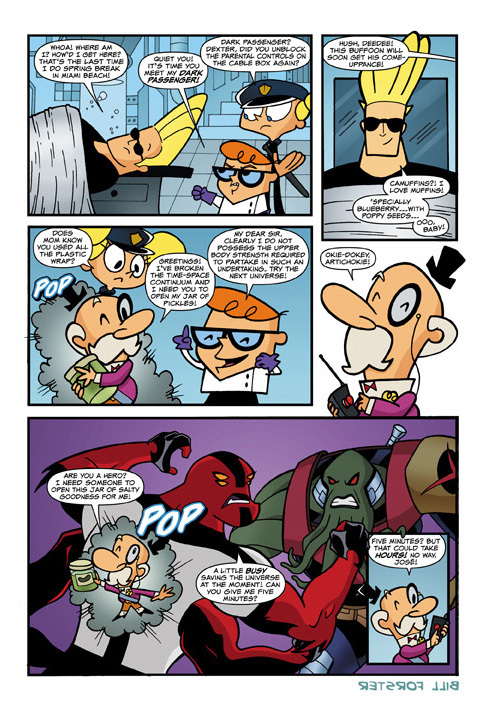 The goal was to tell a funny little story using a variety of Cartoon Network properties. 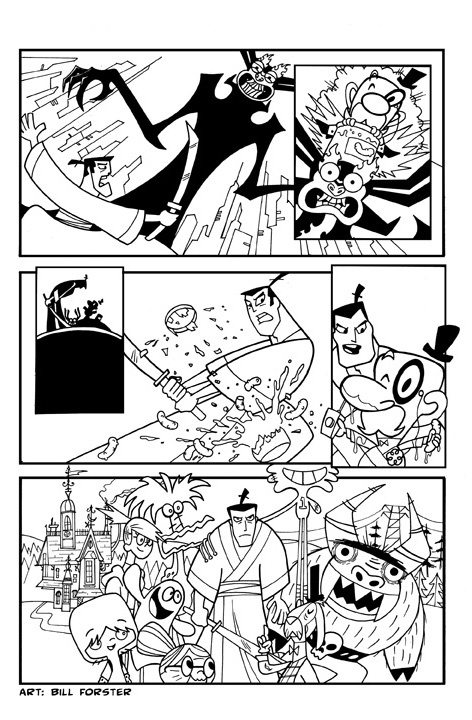 In case you’re wondering they are The Powerpuff Girls, Johnny Bravo, Dexter’s Laboratory, Ben 10, Samurai Jack and finally Foster’s Home for Imaginary Friends.